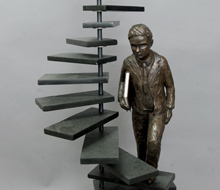 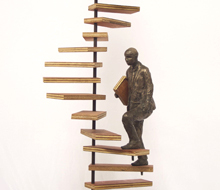 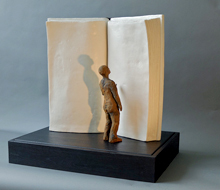 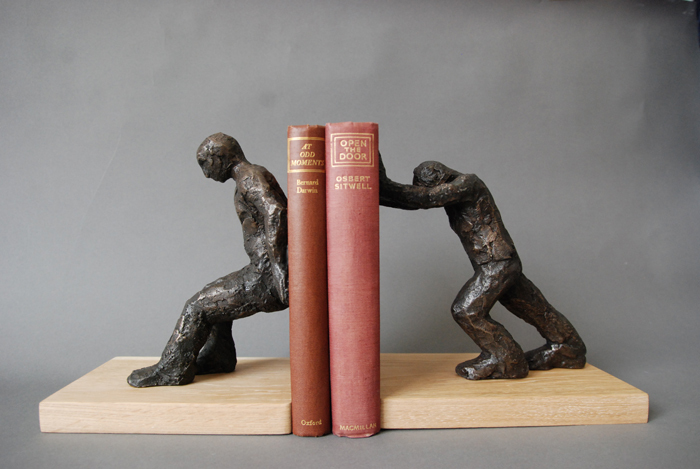 The Bronze resin edition comes with oak bases attached to carefully chosen books. 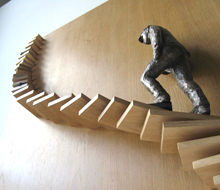 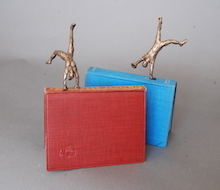 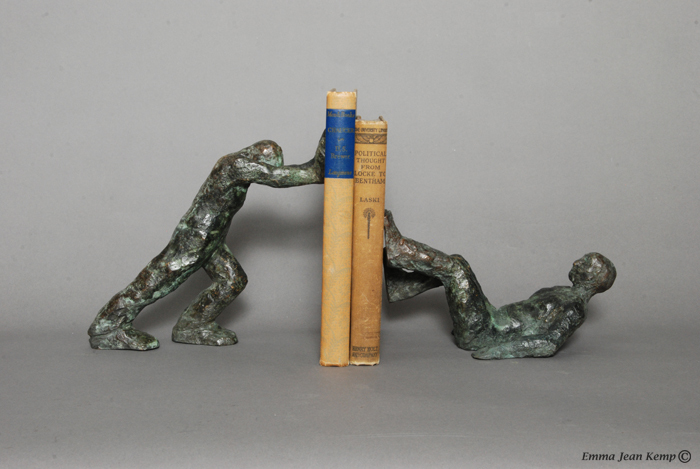 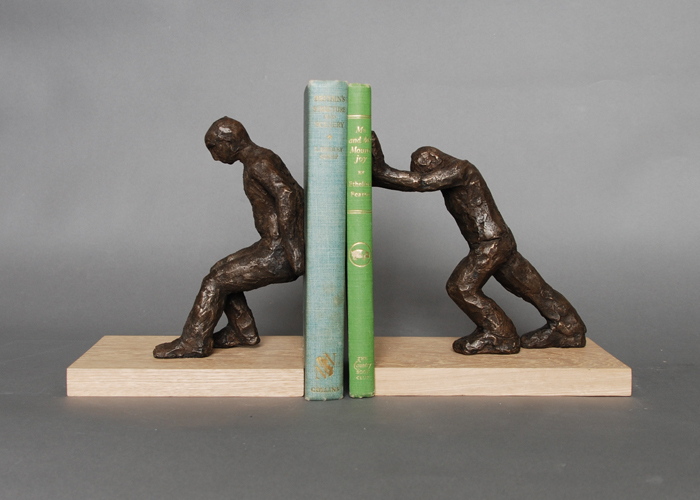 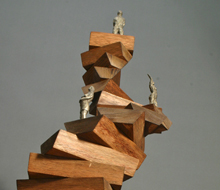 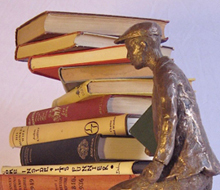 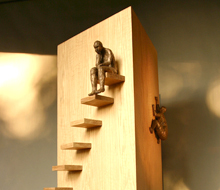 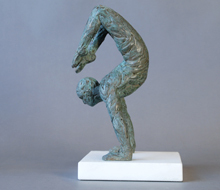 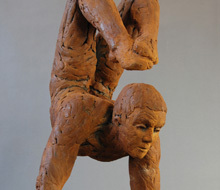 These figures, pushing against each other, can be used as bookends as well as sit as a sculpture on their own. 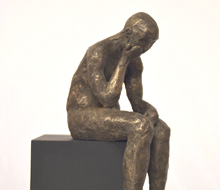 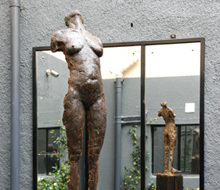 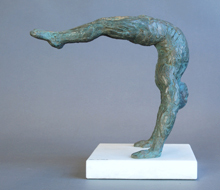 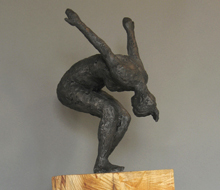 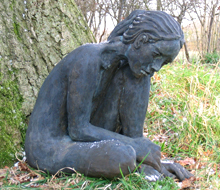 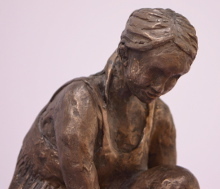 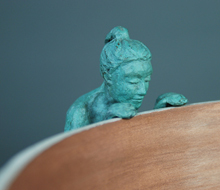 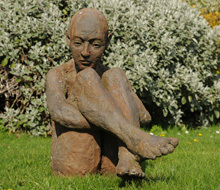 The final picture shows the figures in cast bronze.